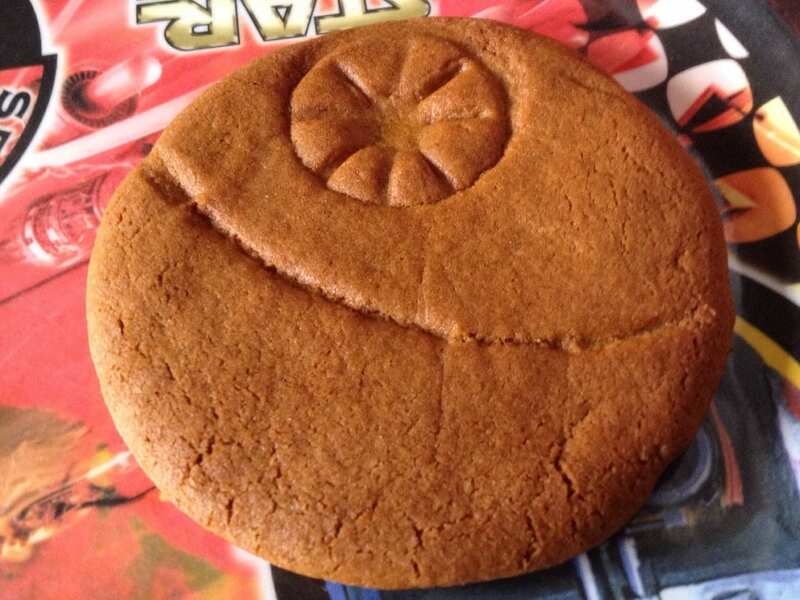 This is a delicious and simple gingerbread Death Stars recipe, a cookie with added technological terror. Sift the flour, bicarbonate of soda, ginger, and spice into a bowl. Rub in the butter with your fingertips until it resembles coarse breadcrumbs; stir in sugar. Beat syrup into egg then stir into flour mixture.Knead the dough until smooth (or user mixer). Roll out into a cylinder about 30cm long, wrap in clingfilm, and place in freezer for about 20-25mins. This will make the dough more solid work work with. Divide dough into 3 equal parts, and roll out each one between clingfilm (will prevent it sticking to pin) to about 1cm thick. Place on a lightly floured surface to cut shapes. I used a 7.5cm circular cookie cutter. Decorate as per photo. Use the end of a teaspoon or similar to create the curved equator, and the find an appropriate sized circle shape to create the dish. Use spoon handle again to create the ‘spokes’ of the dish, and then gently smooth out the centre of the dish with your little finger. When making impressions, make sure they’re deep but not to cut through the entire cookie. Bake on lined trays in the preheated oven until golden and puffed, about 10-12 minutes. Let them sit on the tray for a few minutes before moving to a wire rack. Both of your Death Star Recipes are great! We have to remember them for Next Year’s May the Fourth be with you Party!